Ferdinand J. Schmidt's insect collection embraces mainly butterflies and beetles. Among the most interesting specimens are the so-called narrow-necked cave beetles. The first beetle of this kind was found by assistant lamplighter Luka Čeč in 1831 in Postojna Cave. He passed it on to Count Franz Hohenwart, while he in turn sent it to Ferdinand Schmidt for »scientific processing«. In 1832, Schmidt eventually described it as a new genus and a new species - Leptodirus hochenwartii, with the Carniolan name of »narrow-necked cave beetle«. This discovery was of great significance for the history of our entomology, considering that this was the first fully described cave beetle in the world. Until then, it had not been know that caves could be inhabited by insects at all. 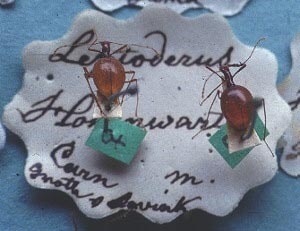 As the first specimen of the narrow-necked cave beetle was damaged, Schmidt promised to pay 25 florins for a new intact specimen. The inviting reward, however, was never paid out. The second specimen was found sixteen years later in the same place by Schmidt himself. While searching for the rare insect, he actually discovered a whole series of unknown cave animals not only in Postojna Cave but in some neighbouring caves as well. 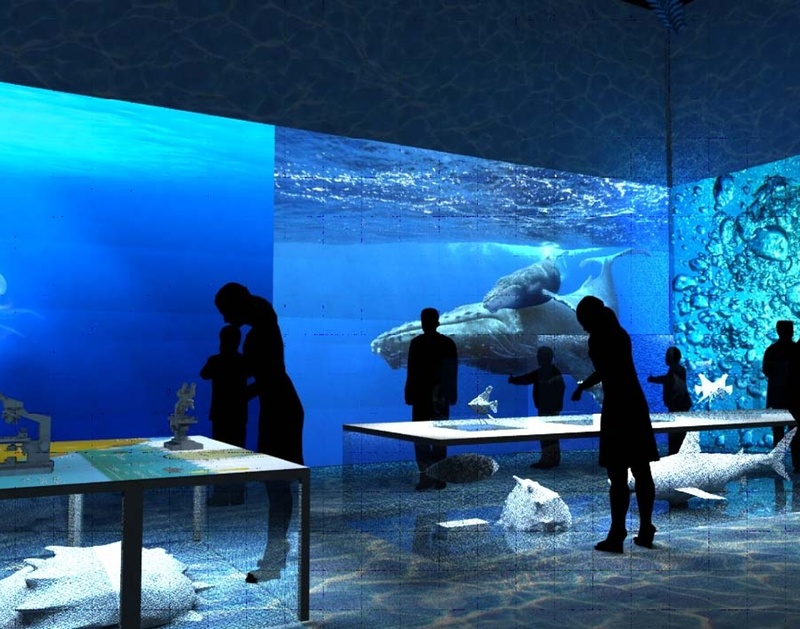 The unexpected finds stirred much imagination all over the world and attracted many foreign researchers to visit Slovenia. A new field in biology began, eventually called speleobiology.